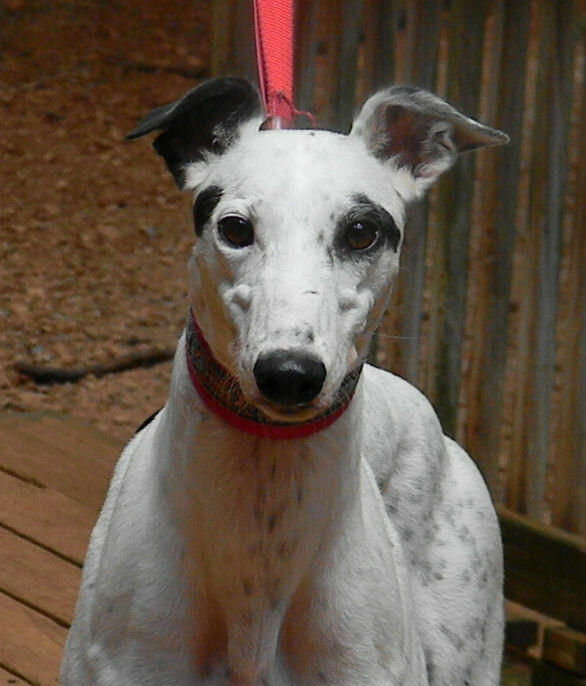 Carolina is a confident, very friendly girl who loves attention. 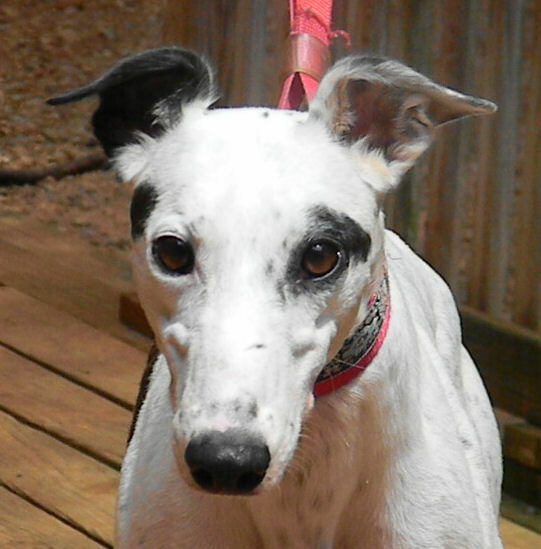 She is a pretty gal, predominately white, with just a few black markings. Her dad is an Irish Derby winner. Carolina herself was a successful racer, holding her own against the big boys and ending up “in the money” more than 55% of the time. After being in a home for the past 2 years, she was recently returned to AAGA when her adopter was transferred to Ireland and could not take her with him.